• 장치를 접었을 때, 본질적으로 듀얼 스크린 스마트 폰이 됩니다. 후면에 두 번째 디스플레이가 있는 셈이니, 메인 카메라로 셀카 사진을 찍거나 기본 디스플레이의 내용을 반대쪽 사람과 공유 할 수 있습니다. We saw one in a presentation that had a big fat crease down the middle of it from repeated folds and plainly looked like plastic. Idk if it was an early prototype or what, but the version we could photograph was at max brightness 100% of the time - no screen off photos allowed. it is quite hilarious to me that the first big companies with folding phones on the market are not exactly known for making good software, which will be crucial to making a good folding phone experience. We weren't allowed to photograph the one that looked all folded up and gross, and Huawei's photo shoot unit was kept at max brightness with the display on. I'm guessing it was for a reason. Every phone is a folding phone if you're strong enough. Euros 2290 for Huawei Mate X. That is expensive. Also available from mid 2019. 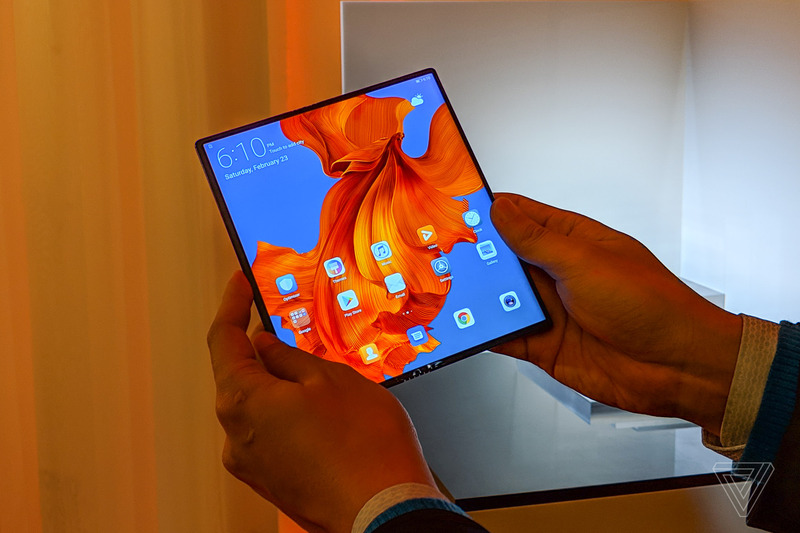 Basically, you can hope to buy a foldable 5G phone some time in 2021. For now both the Galaxy Fold and the Mate X are beginning of something but no, future hasn't arrived yet. Oh and a two-part 4,500mAh battery inside the Huawei Mate X. 55W fast charging, too! do I really trust Samsung and Huawei to figure out this software? have you ever used first-generation Samsung or Huawei software? hell, Huawei's latest software is unusable. Huawei’s Mate X foldable phone is a thinner 5G rival to the Galaxy Fold https://t.co/TqwZQthnAz via @Verge // No one seems to be showing typing in “tablet mode”. Typing has to work because tricky to put the phone in a case like an iPad mini.